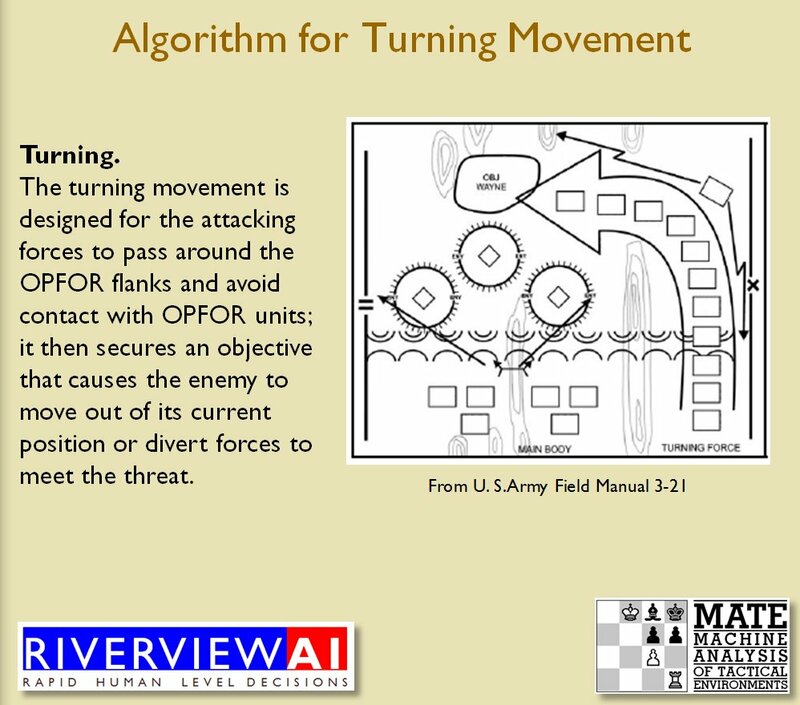 Hypothesis 1: There is agreement among military experts that tactical situations exhibit certain features (or attributes) and that these features can be used by SMEs (Subject Matter Experts) to group tactical situations by similarity. Hypothesis 2: The best match by TIGER (the Tactical Inference Generator program) of a new scenario to a scenario from its historical database predicts what the experts would choose. 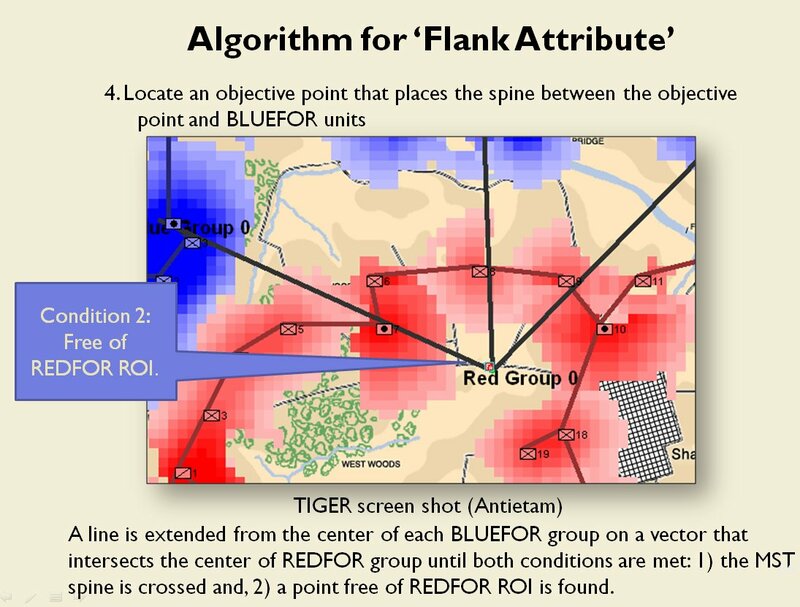 In other words, a preponderance of SMEs will describe a tactical situation in the same way (like ‘Blue has a severely restricted line of retreat’ or ‘Red has anchored flanks’) and a computer program can be written that will describe the same battlefield in the same way as the human experts. 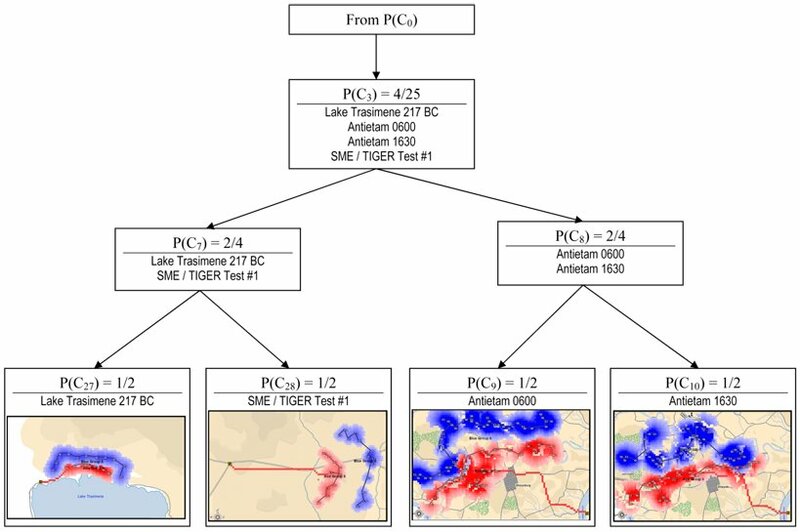 And, if TIGER correctly predicts what the SMEs would choose in four out of five tests (using a one sided Wald test resulted in p = 0.0001 which is statistically significant) you get a PhD in Computer Science. 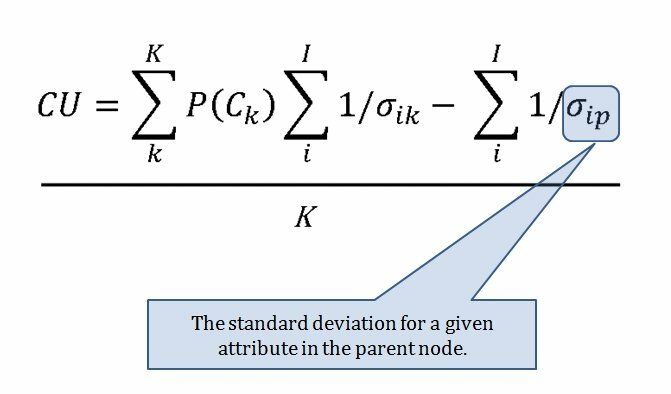 By the way, I am also indebted to Dr. Joseph Lang of the Department of Statistics and Actuarial Science at the University of Iowa who calculated the p value. An example of an online survey tactical description question asked of Subject Matter Experts. 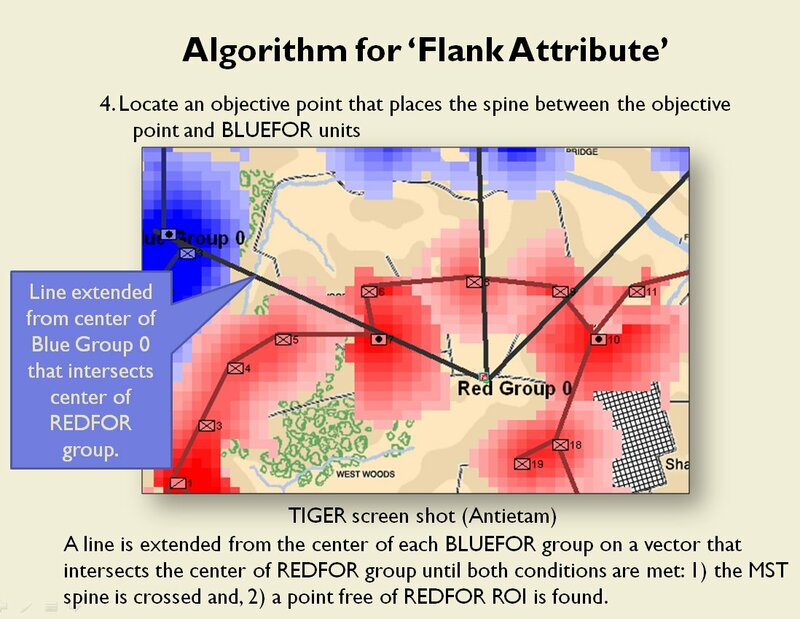 Image from Sidran’s TIGER: A Tactical Inference Generator. Click to enlarge. 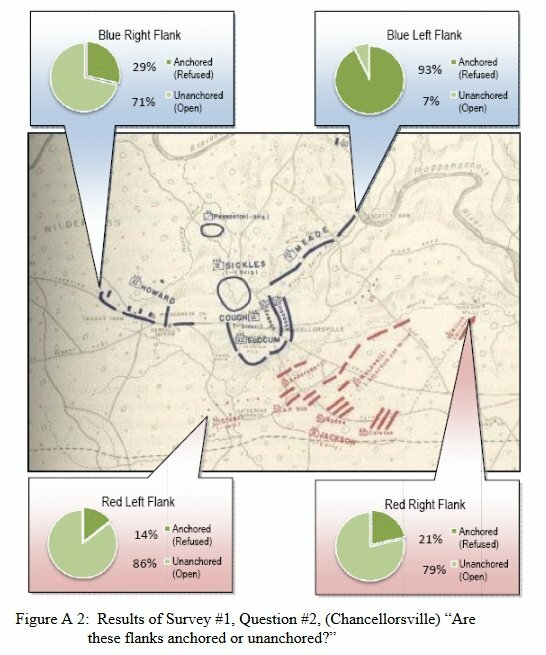 The results of the above survey question: 100% of SMEs agree that RED’s left flank is anchored on the Potomac; 79% agree that RED’s right flank is anchored on the Antietam. 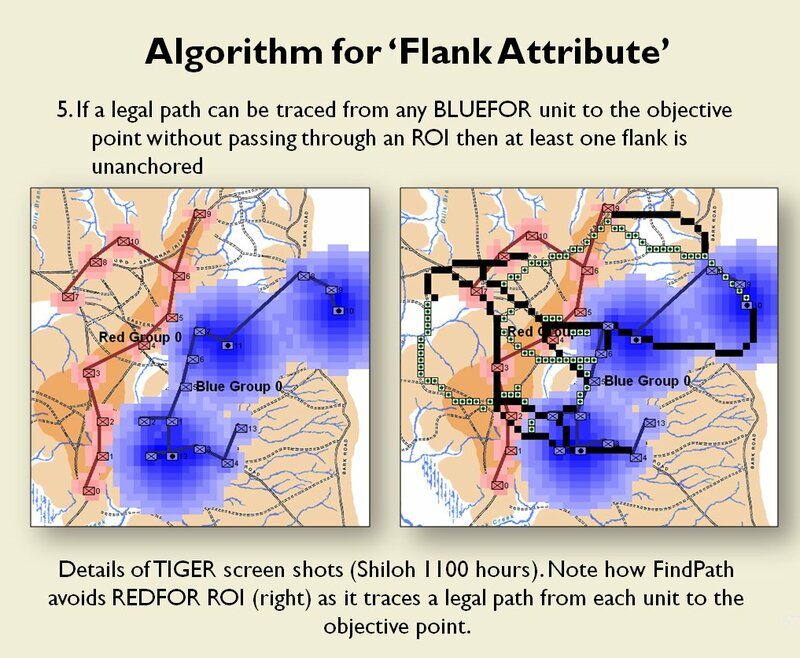 Image from Sidran’s TIGER: A Tactical Inference Generator. Click to enlarge. 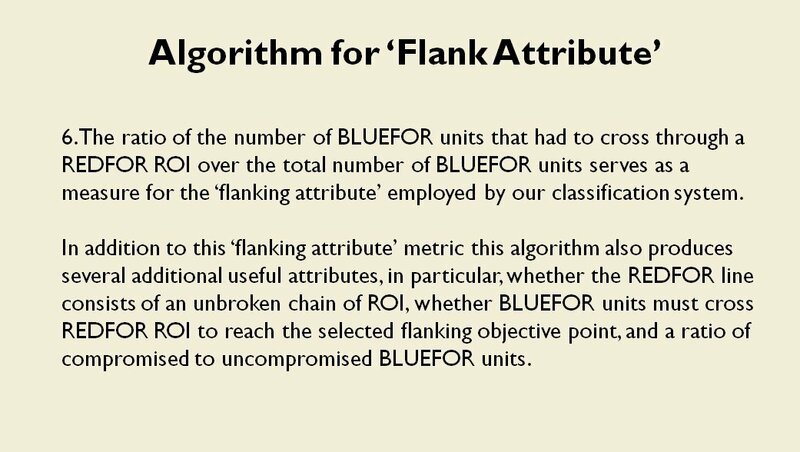 The descriptors (features or attributes) that were identified by the SMEs included Anchored Flanks, Unanchored Flanks, Restricted Avenues of Attack, Unrestricted Avenues of Attack, Restricted Avenues of Retreat, Unrestricted Avenues of Retreat and Interior Lines. 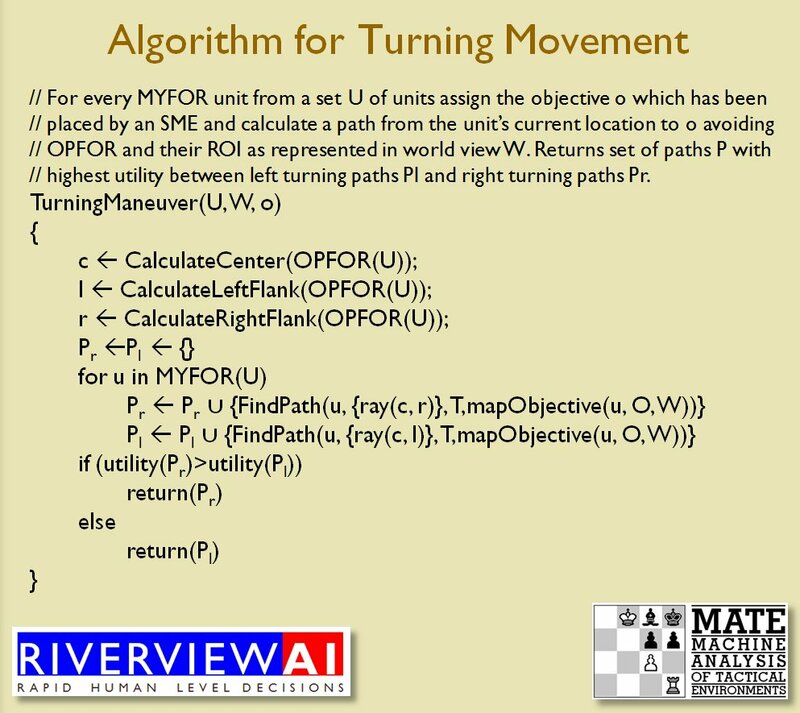 If you are interested in the methodology and algorithms there are links at the end of this post. 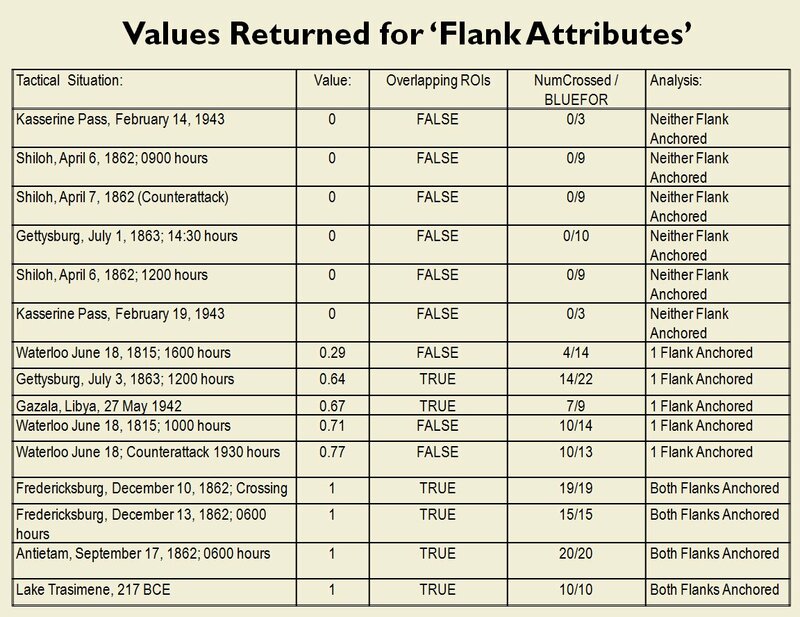 Now that the features have been identified (and algorithms written and tested that return a value representing the extent of the attribute) the next step is separating battlefield situations into categories is creating a machine learning classifier program. There are two kinds of machine learning programs: supervised and unsupervised. Imagine two kinds of fish coming down a conveyor belt with a human being watching this on a TV with two buttons to push. If he pushes the button on the left the fish is classified as, say, ‘tuna’. And if he pushes the button the right the fish is classified as a ‘catfish’. (Why tuna and catfish are coming down this conveyor belt is beyond me, but please stay with the explanation.). In this way the program is taught the difference between a tuna and a catfish (tuna are bigger and longer). 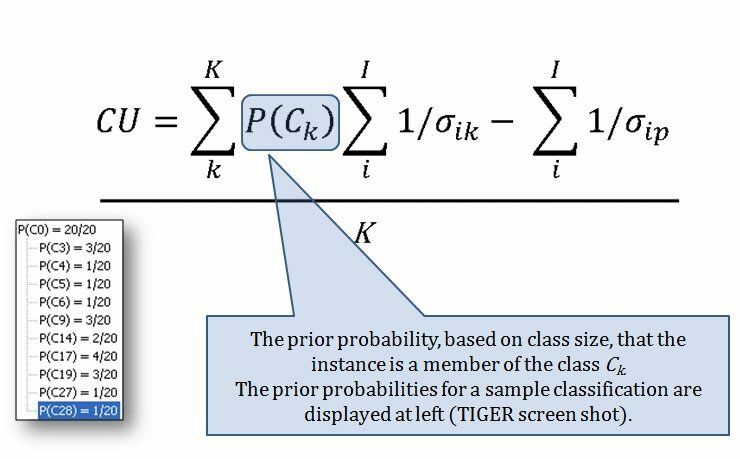 This is called supervised learning and is the method used by Netflix and Spotify to select movies or songs that are similar to choices you have previously made. 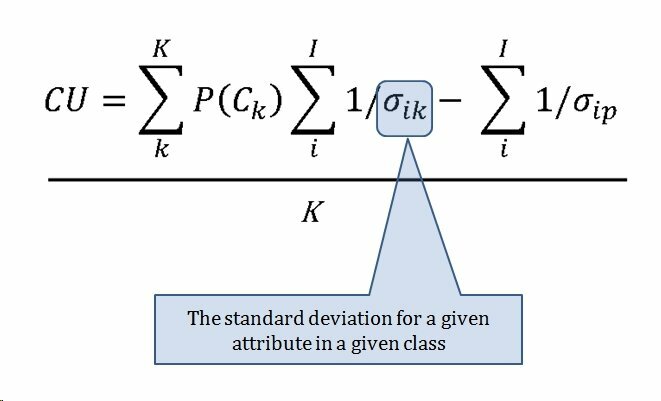 I don’t like supervised systems because they have to be ‘trained’ and, in my opinion, have a tendency to oversimplify classification problems (for example, Netflix movie suggestions are usually awful). 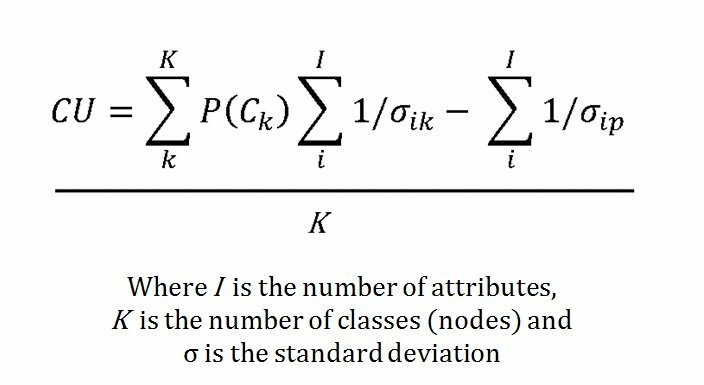 Unsupervised machine learning works differently: there are a number of ‘objects’ that are described with certain ‘attributes’. 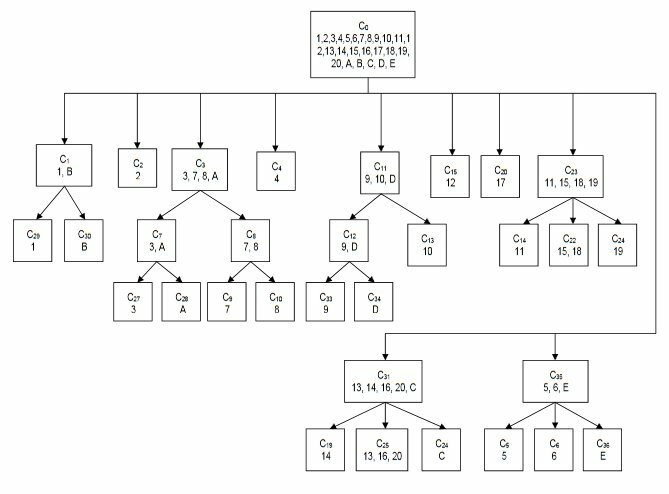 These objects are presented to the ‘machine’ and the machine separates them into categories based on the likelihood (probability) that they belong together and then displays the results in a hierarchical tree structure. This is how the TIGER program works. 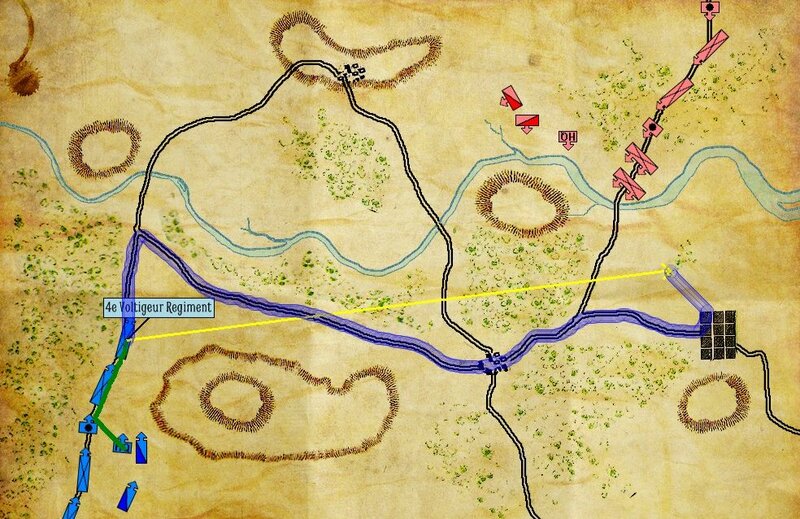 The ‘objects’ are battlefield maps and the attributes are things like ‘anchored flanks’ and ‘restricted lines of attack’. 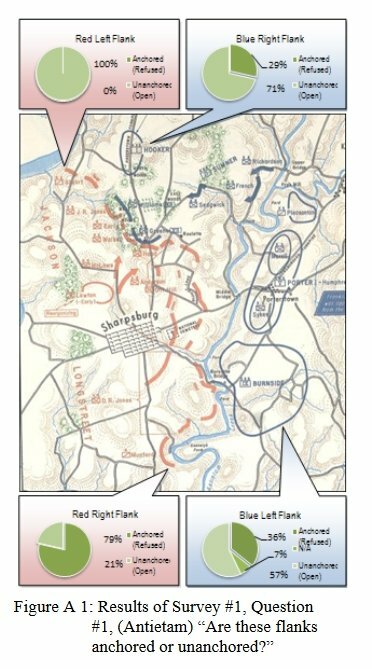 TIGER has classified four battlefield snapshots (Lake Trasimene 217 BC, Antietam 0600 hours, Antietam 1630 hours and a test battlefield submitted to TIGER and the SMEs as being similar. 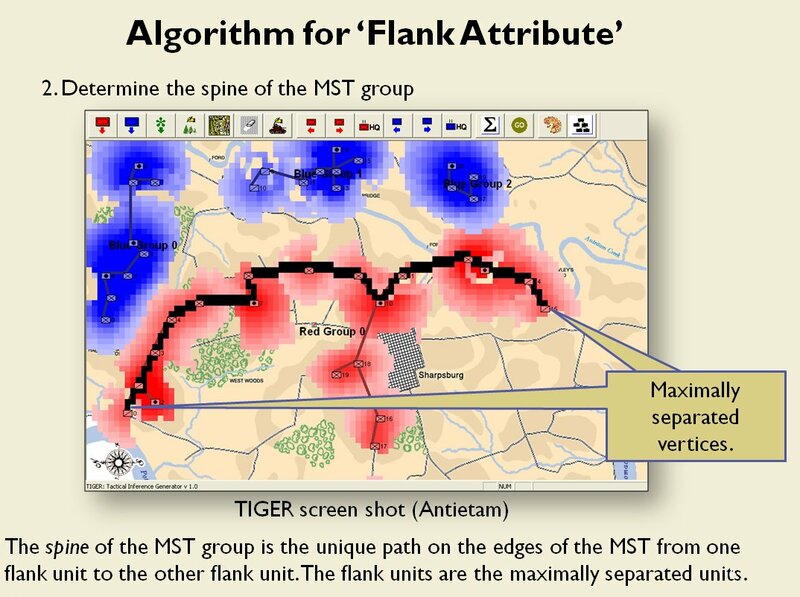 Note how TIGER sees the two Antietam snapshots as ‘more similar’ and puts them in their own node. 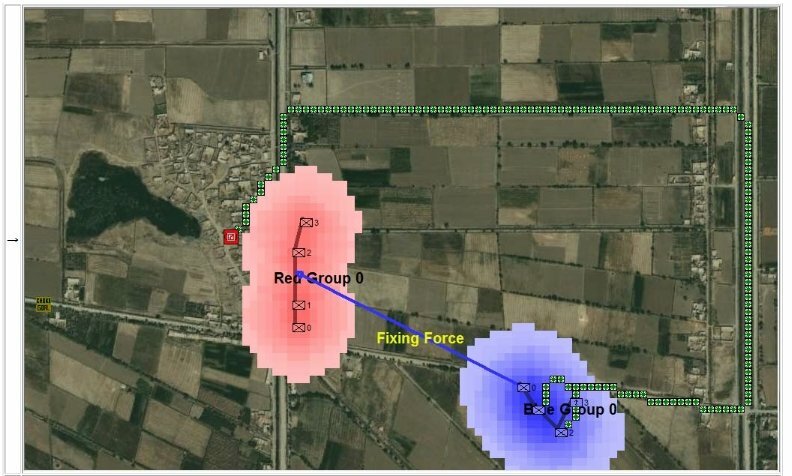 Image taken from TIGER: An Unsupervised Machine Learning Tactical Inference Generator. Click to enlarge. 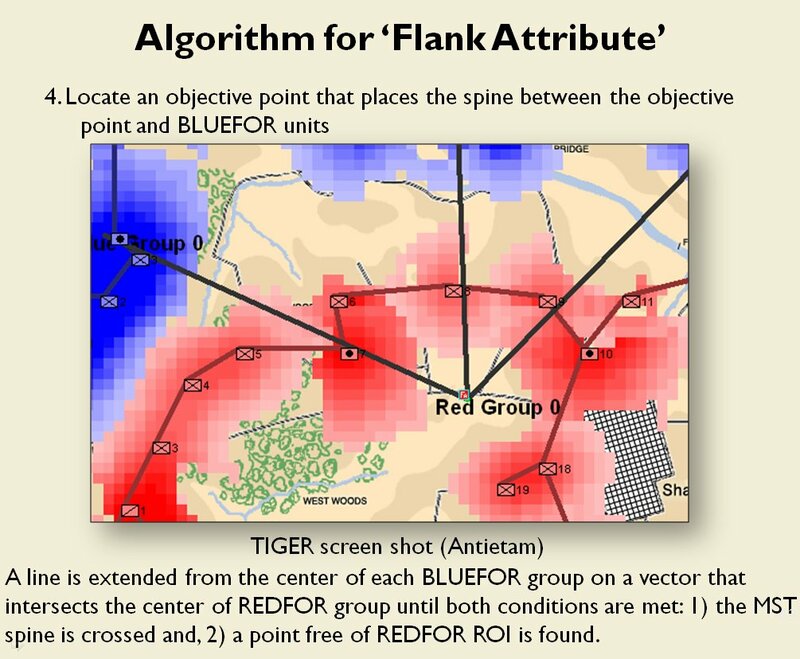 The method that TIGER uses to classify battlefields is Gennari, Fisher and Langley’s ClassIT algorithm which is explained in detail in my thesis (link below). 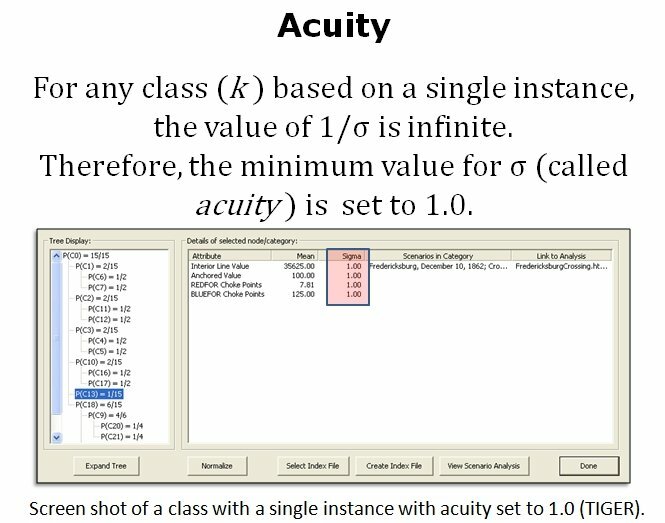 Basically, a number of objects are ‘fed’ to the machine (in computer science the terms ‘machine’ and ‘program’ are synonymous) and every time the machine ‘consumes’ an object it asks itself, “does this new object belong in a previously existing category, or a new category, or should I combine two existing categories and add this new object or should I split an existing category and add this new object to one of them? 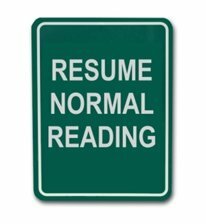 Caveat: just as I explained in the previous blog, computers don’t actually ‘say’ or ‘ask itself’ but it’s easier to explain these processes using those terms. This is unsupervised because there is no human involvement or training. And there is no limit to the number of objects (battlefields) that can be shown to the program. TIGER is constantly learning. Below is an example blind survey question given to >20 SMEs to validate TIGER’s ability to predict what the majority of SMEs would choose. 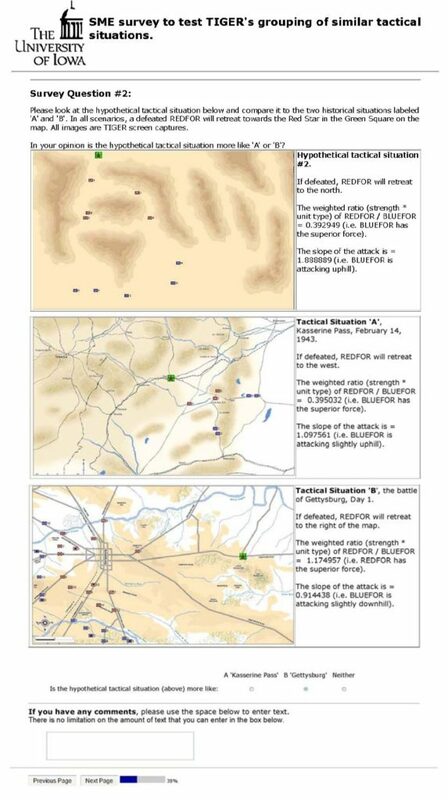 My good friend, Ralph Sharp, who has worked on art for many of my games did the hypothetical battlefield maps. 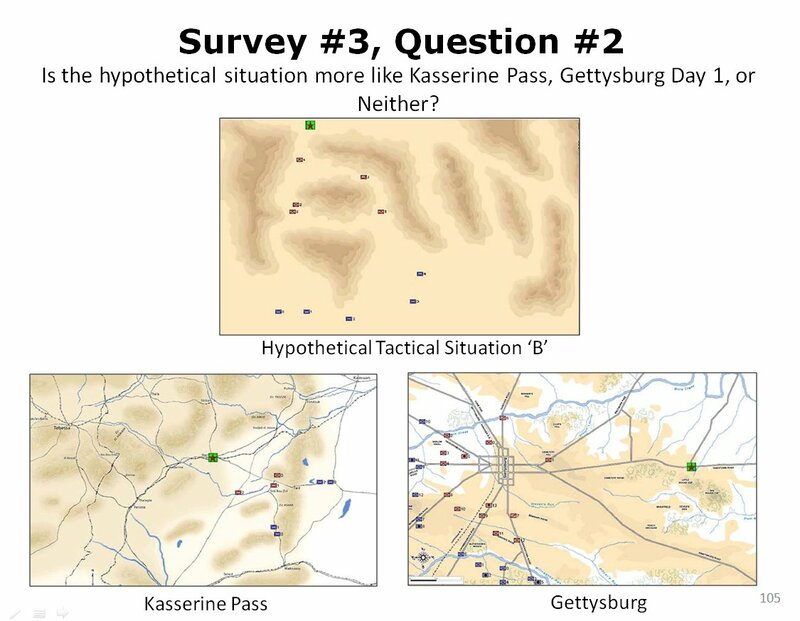 An example of the blind survey questions asked of SMEs: is the hypothetical battlefield situation on the top more like the historical battlefield in the middle (Kasserine Pass) or the historical battlefield at the bottom (Gettysburg). Click to enlarge. 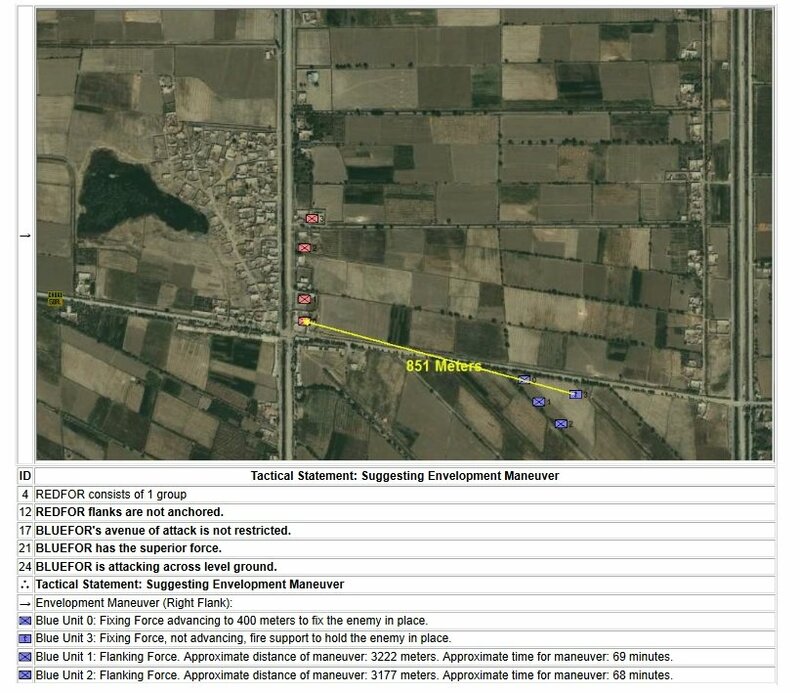 The results show a statistically significant number of SMEs are in agreement that the hypothetical battlefield situation most closely resembles Kasserine Pass. The results from the, above, blind survey question. 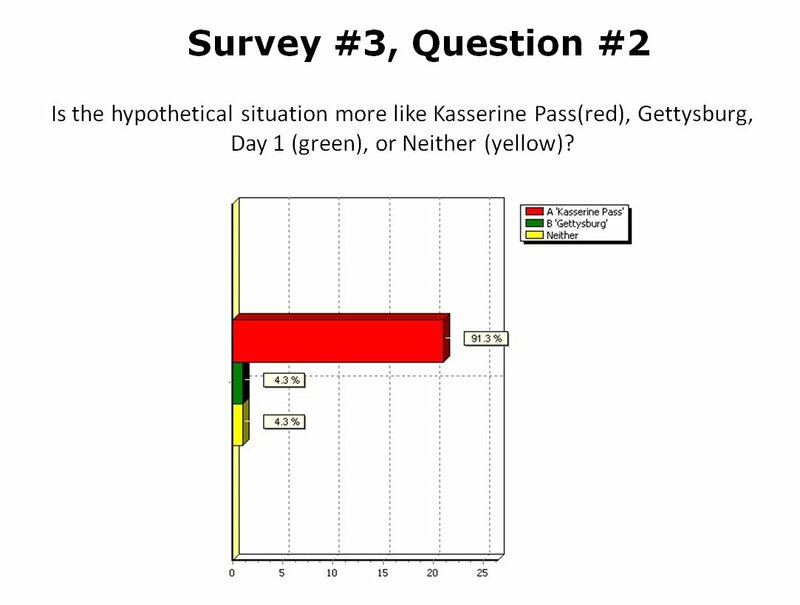 The SMEs overwhelmingly state that the the battle of Kasserine Pass most resembles the hypothetical battle situation. The TIGER program also chose the ‘Kasserine Pass’. Click to enlarge. Once again this week’s post ran longer than I anticipated. It looks like this story won’t conclude at least until Part 5. 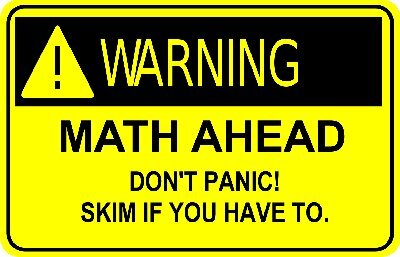 It has been said that by the time a PhD dissertation is defended only five people in the world are capable of understanding it. I certainly hope that wasn’t the case with my research. Below is a link to download a PDF of my thesis. Please feel free to contact me directly if I can answer any questions. Lastly, my good friend Mike Morton, sent me a link to this piece just before my defense: The “Snake Fight” Portion of Your Thesis Defense. Anybody thinking of getting a PhD should probably read this first (and laugh and then cry). 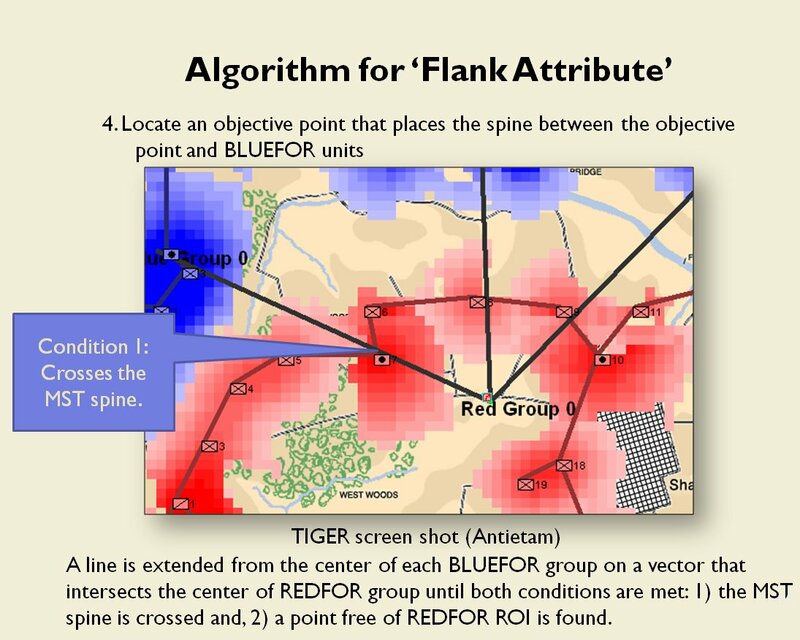 TIGER: An Unsupervised Machine Learning Tactical Inference Generator. 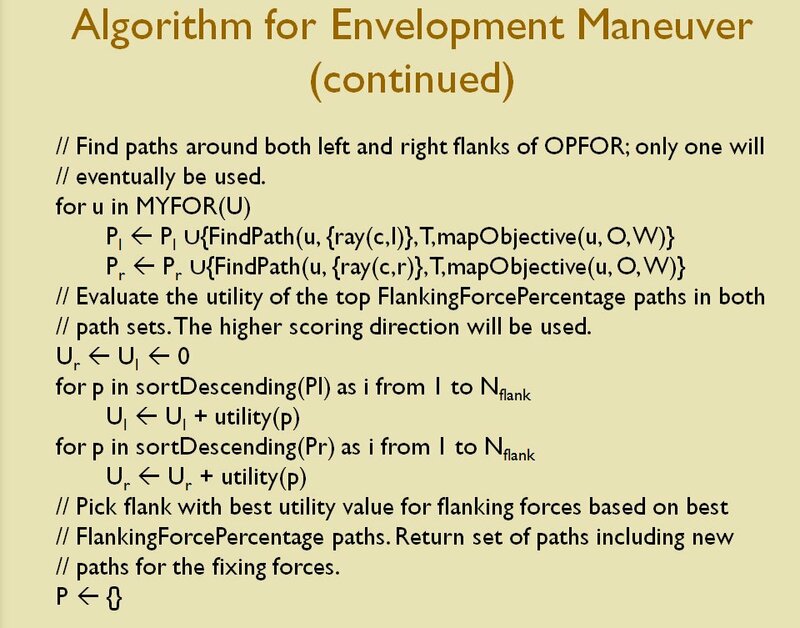 This entry was posted in Artificial Intelligence, Game Design, Gameplay, Wargames and tagged AI, Artificial Intelligence, Battlefield classification, Classification theory, Dissertation, Machine Learning, SMEs, Unsupervised machine learning on December 5, 2016 by EzraSidran. I was introduced to wargames (Avalon Hill, of course) about 55 years ago when I was seven years old by my buddy Carl Hoffman who lived down the street. Carl and I ended up owning every Avalon Hill wargame and we played them all. Eventually, Carl and his family moved away (I think Carl became a professor at LSU but I can’t confirm that) and I was faced with the grim realization that all of us Grognards inevitably confront: there was nobody to play wargames with. 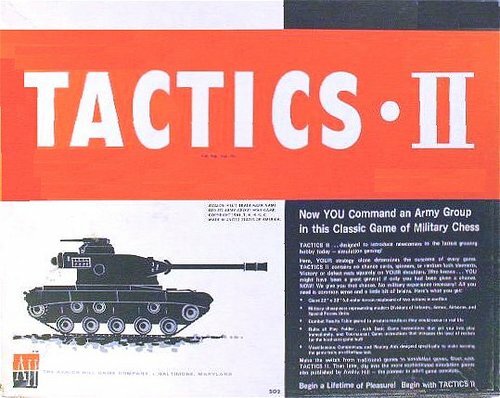 Tactics II from Avalon Hill. 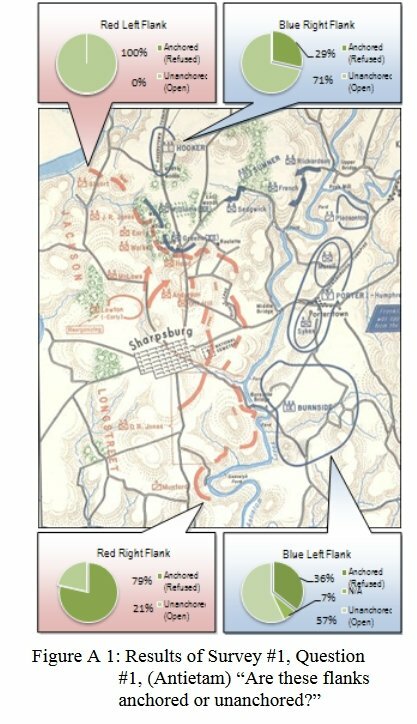 The first wargame I played. 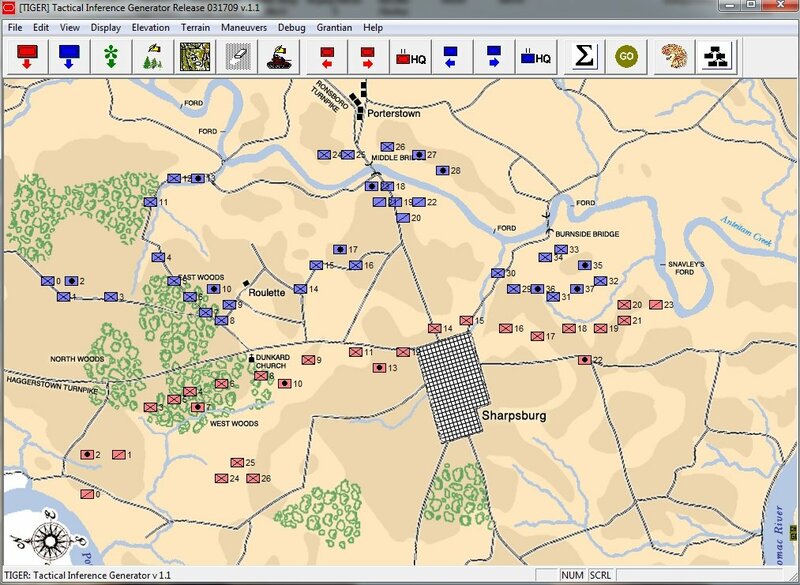 What was the first wargame you played? 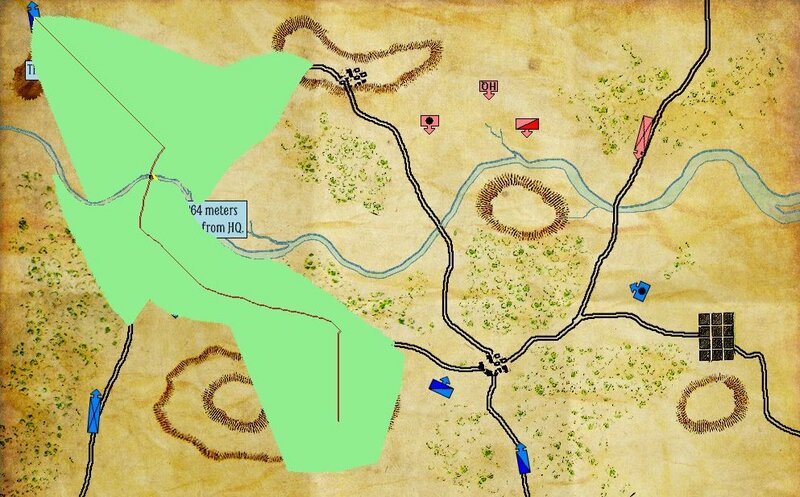 Over the years I would occasionally find someone interested in playing (or, more likely, coerce a friend who really had little interest in wargames) to set up a game but rarely would we ever complete a full campaign or battle. By the late 1970s playing wargames for me was a rare event (the one exception being my good friend from my undergrad college days, Corkey Custer). Then, about this time, I saw an episode of PBS’s NOVA on what was then the infancy of Computer Graphics (CGI). There, flickering on my black & white TV, was what we would eventually call ‘wire frame’ 3D. Wire frame 3D just shows the edges of 3D objects. They are not filled in with a texture (as CGI is done now). 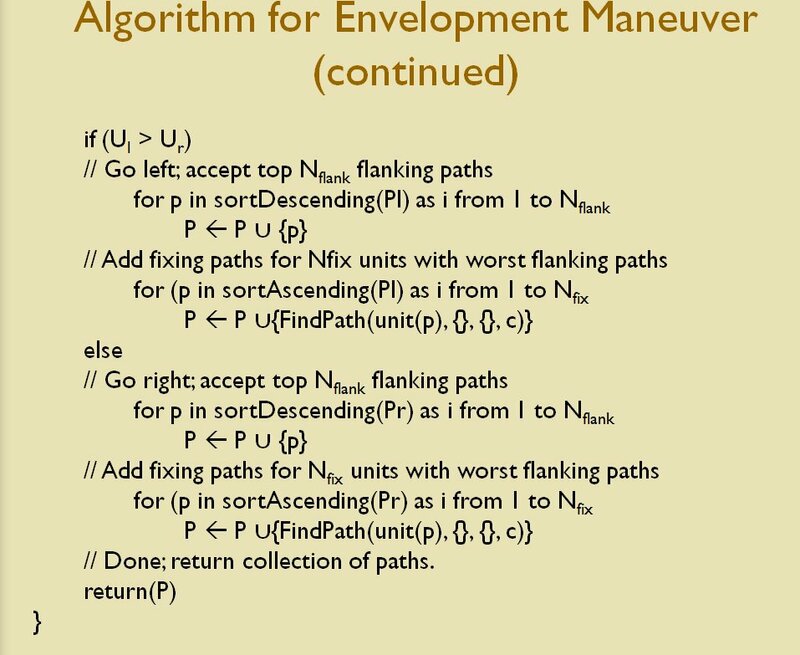 Computers just didn’t have the processing power to pull this off back in the late ’70s and ’80s. 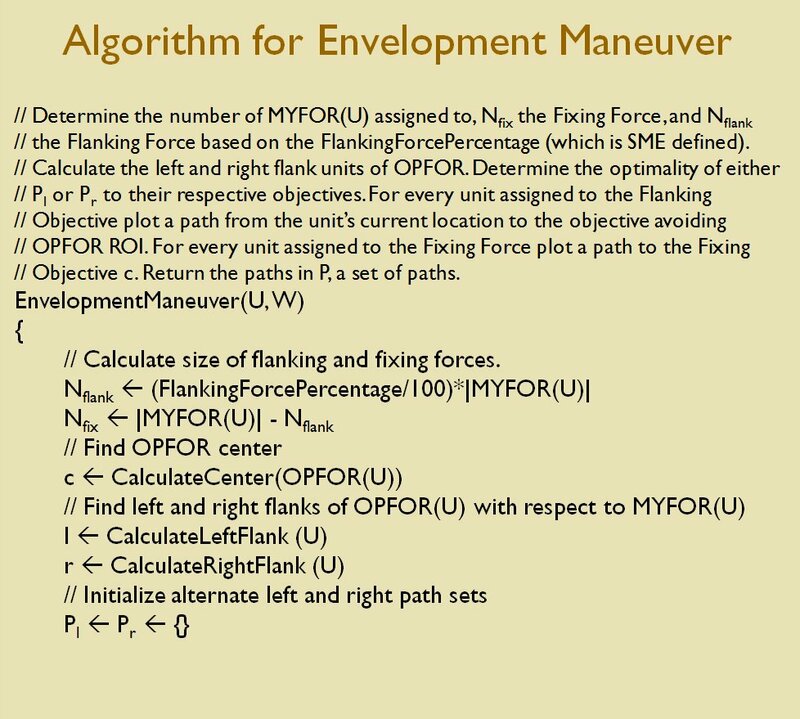 But, I immediately thought to myself, “this technique could be used to render 3D battlefields!” And that was the spark from UMS: The Universal Military Simulator was born. Screen capture of the original UMS running in 640 x 400 x 2 resolution in MS DOS. This is an example of wire frame 3D. 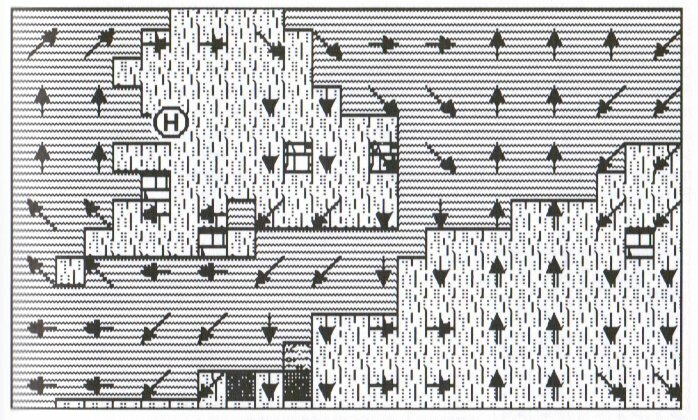 By the mid 1980s I was about to graduate with a bachelor’s degree in computer animation and, more importantly, a working demo of UMS. 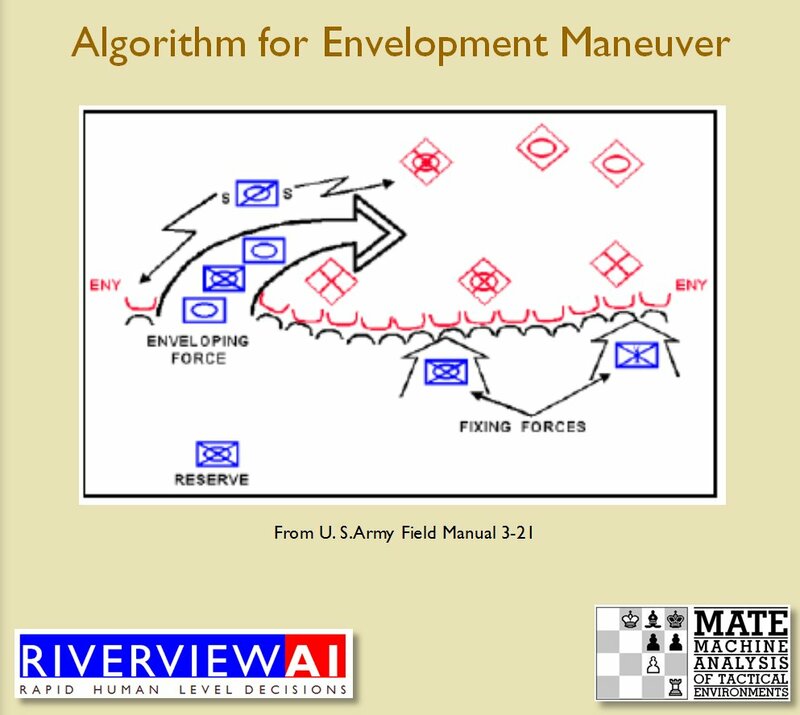 I had hypothesized that one of the biggest selling points of computer wargames was the ability to always have an opponent handy (the artificial intelligence or AI). I borrowed a copy of the Software Writers Market from the library and sent out dozens (maybe even hundreds) of letters and, eventually, papered an entire wall of my apartment with rejection letters from game publishers. 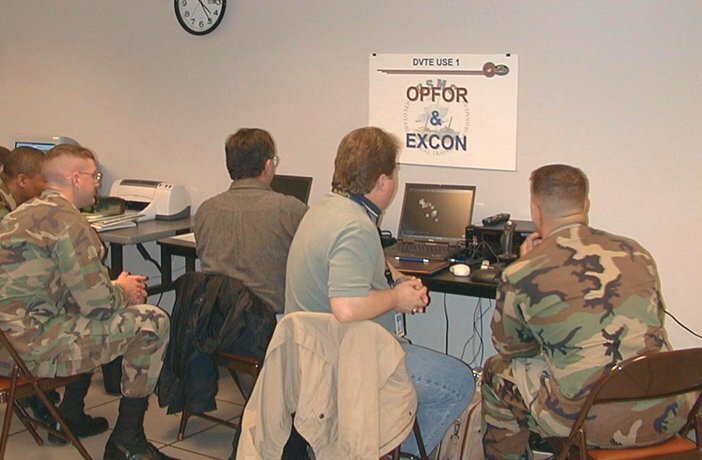 But, Dr. Ed Bever, who designed Microprose’s Crusade in Europe, Decision in the Desert and NATO Commander (pretty much the only computer wargames that were out at the time) saw my pitch letter and gave me a call. Microprose wasn’t interested in publishing UMS per se, rather their CEO, “Wild Bill” Stealey, wanted me to come work for Microprose (and they would own UMS). That deal didn’t appeal to me but a short time later, at the 1986 Consumer Electronics Show in Chicago, Ed Bever introduced me to Microprose’s competitors, Firebird/Rainbird. Within 48 hours I had my first game publishing deal. Crusade in Europe from Microprose (1985) designed by Dr. Ed Bever, originally programming by Sid Meir. UMS sold about 128,000 units and was the #1 game in the US and Europe for a while. 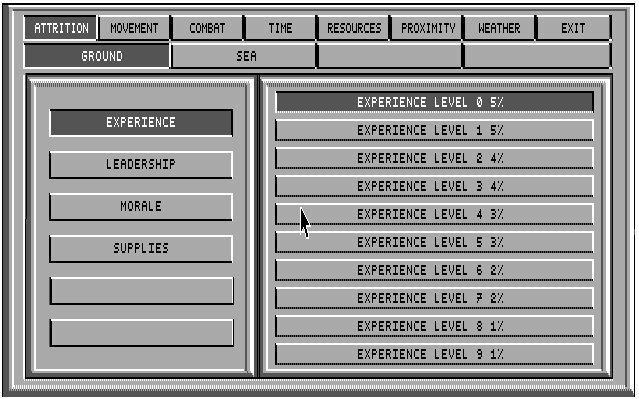 UMS II: Nations at War screen shots from the MS DOS version. Click to enlarge. UMS II screen shot (Atari ST) showing active weather systems. 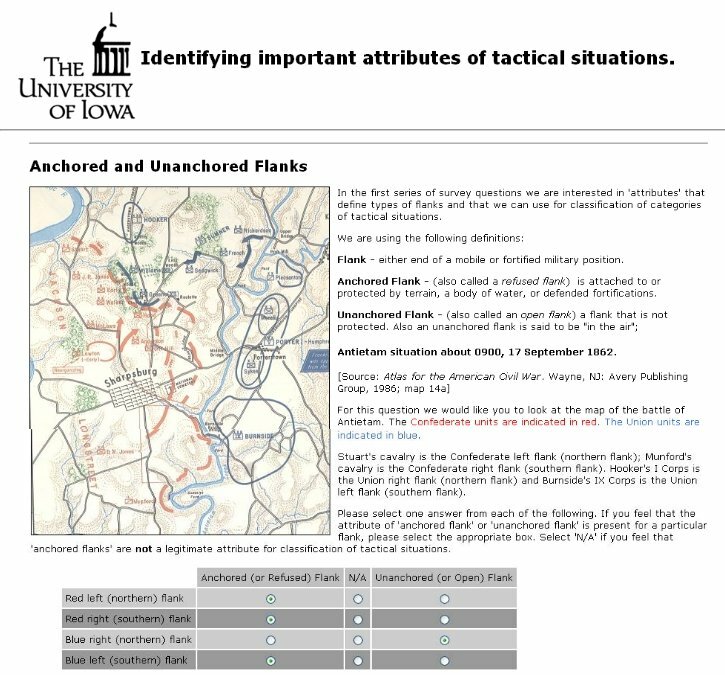 An example of the numerous variables that the user could adjust in UMS II. 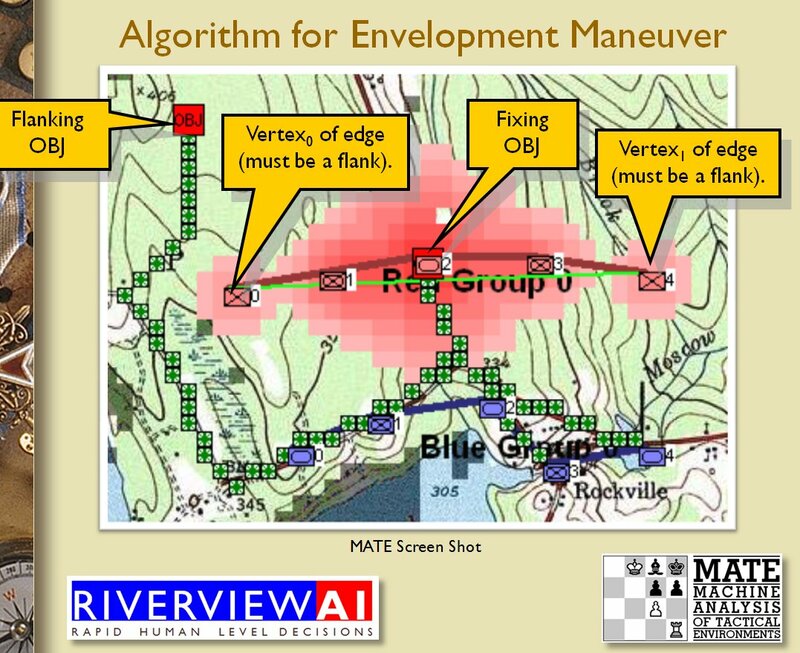 ; in this case adjusting the attrition level based on experience for ground units. Macintosh screen shot. Click to enlarge. 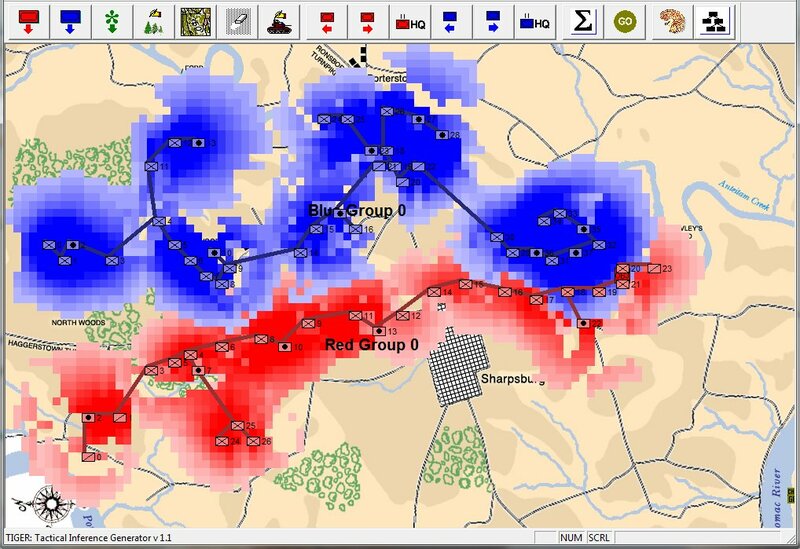 UMS II was named “Wargame of the Year” by Strategy Plus magazine and enjoyed strong sales. 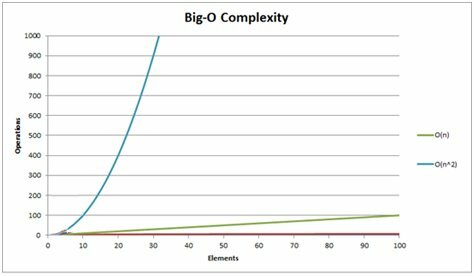 In many ways it was the ‘ultimate’ in complex wargaming. 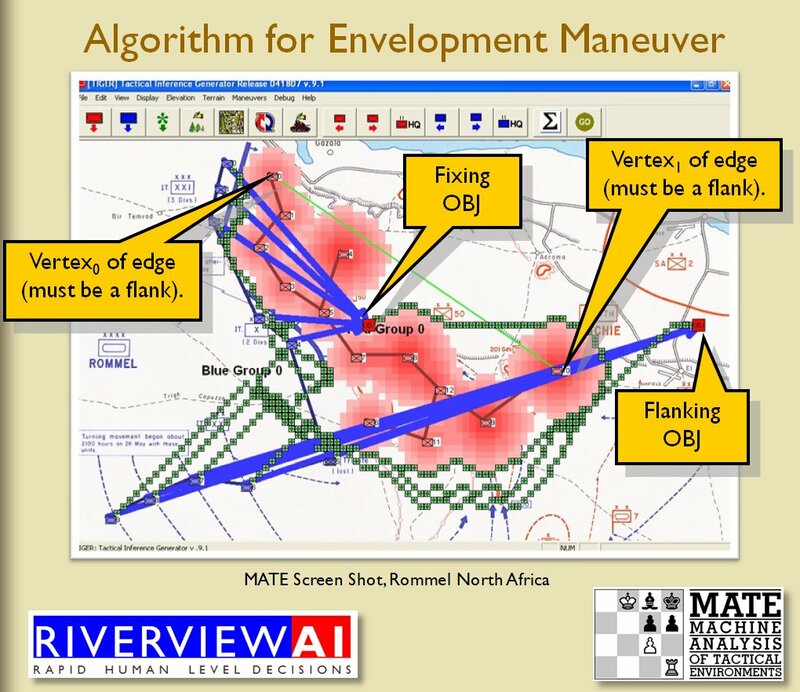 It was far more detailed than any other wargame I’ve seen before or since (and that includes my work on DARPA, Department of Defense, US Army, Office of Naval Research and Modeling Simulation Information Analysis Center (MSIAC) wargames. 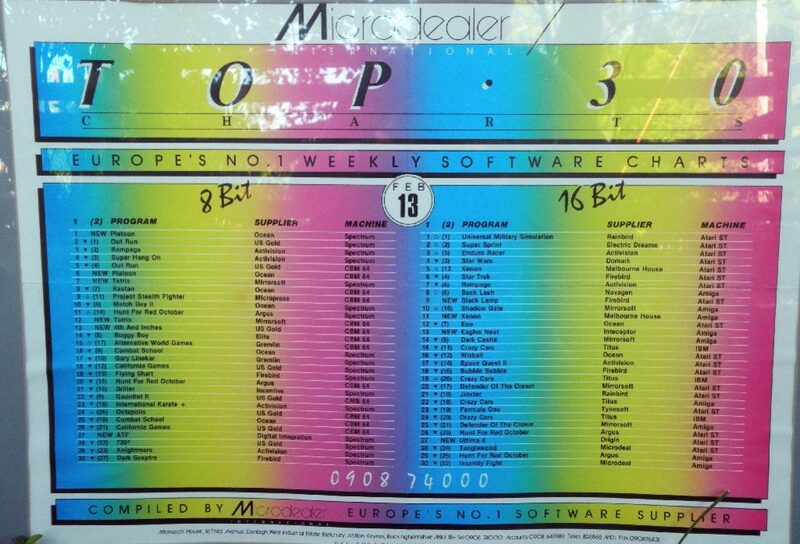 Ironically, it was published by Microprose because they bought out Firebird/Rainbird and with it my publishing contract. My next wargame, in 1993, was The War College. 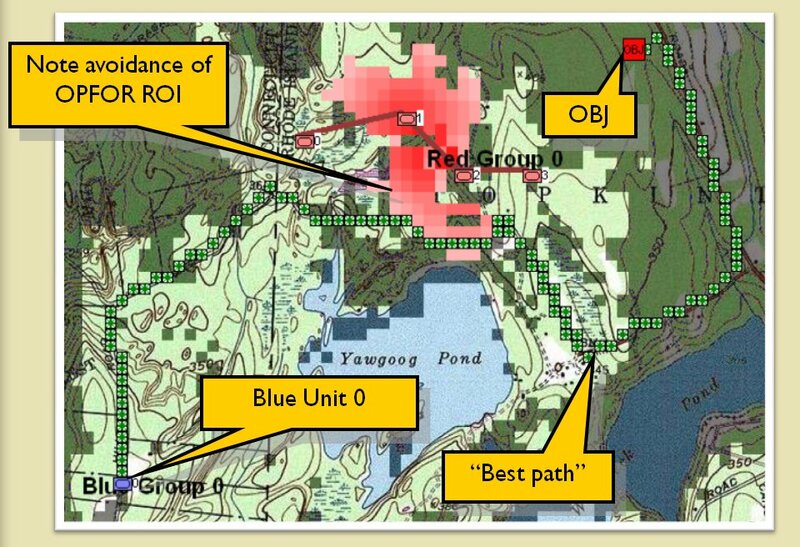 We used data from US Geological Survey to create the 3D maps. 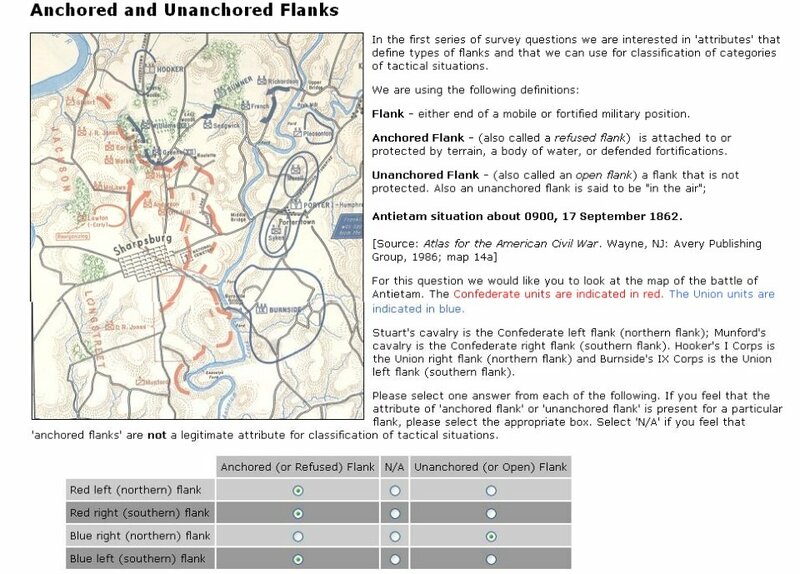 Again, it was very detailed and allowed the user to edit combat values and featured an interactive hyperlinked history of each scenario (it shipped with Antietam, Austerlitz, Pharsalus and Tannenberg). Unfortunately, our publisher, GameTek, pretty much ceased to exist just as we were about to release this game. To this day I have no idea how many units it sold. We never got a royalty statement. 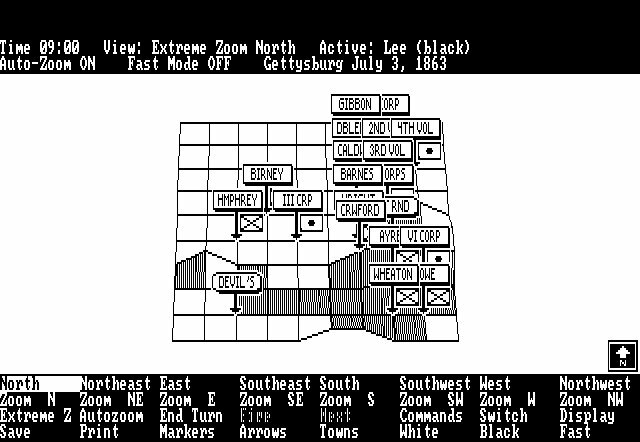 Screen shot (MS DOS) of the Austerlitz scenario in The War College. Click to enlarge. 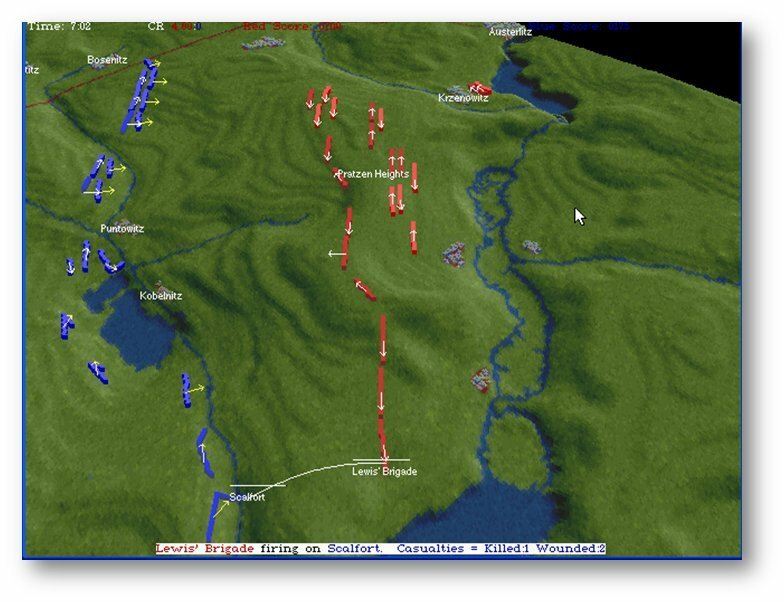 The War College also had an interactive history for each battle (screen shot from MS DOS, click to enlarge). The War College allowed users to adjust melee effectiveness and values. MS DOS screen shot, click to enlarge. 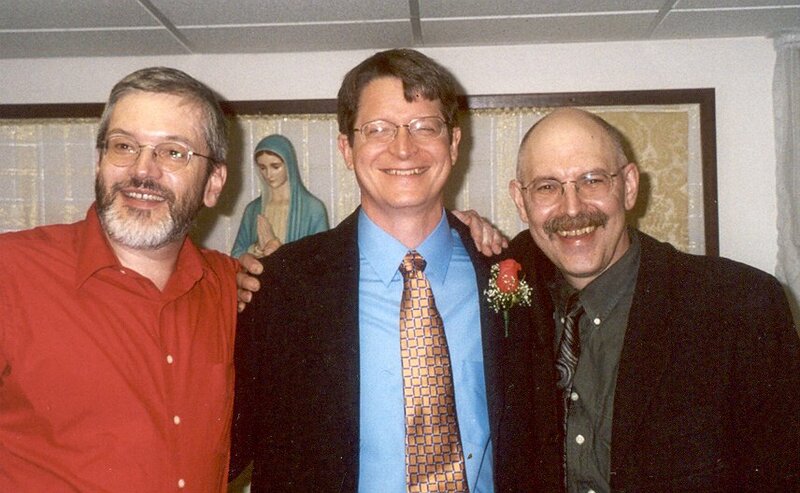 I also would be terribly remiss if I did not mention my good friends who worked on various ports of the above mentioned games, Ed Isenberg (Amiga and MS DOS), Andy Kanakares (Apple IIGS and MS DOS) and Mike Pash (MS DOS). (left to right) Ed Isemberg, Andy Kanakares, Ezra Sidran. Not pictured; Mike Pash. 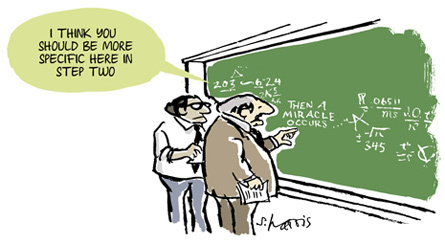 One of the problems of getting old is that your stories get longer to tell. 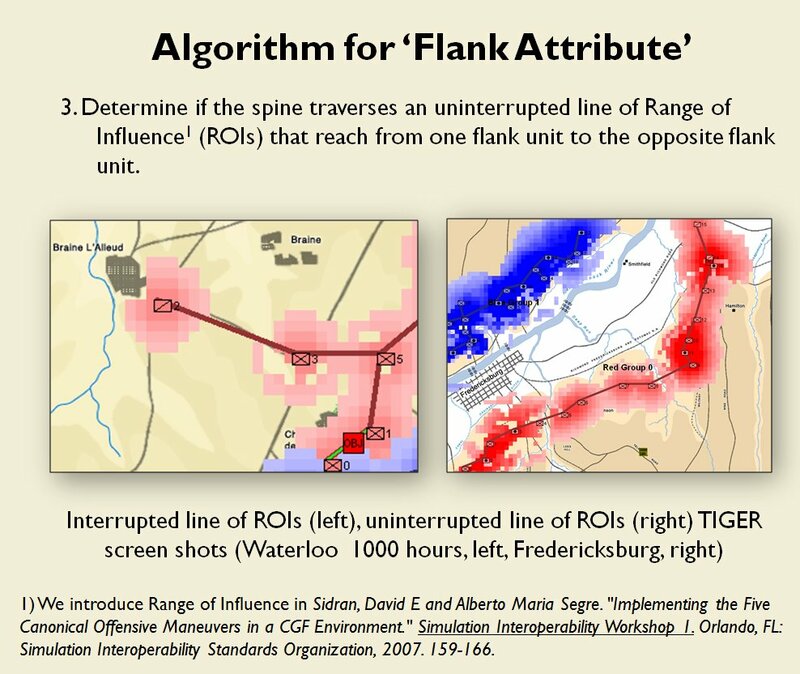 This blog post is far longer than I intended and we haven’t even got to this century and all my research into computational military reasoning (Tactical and Strategic AI) and my new wargame, General Staff. I’m afraid we’ll have to end this here and pick up the story in Part 2 next week. 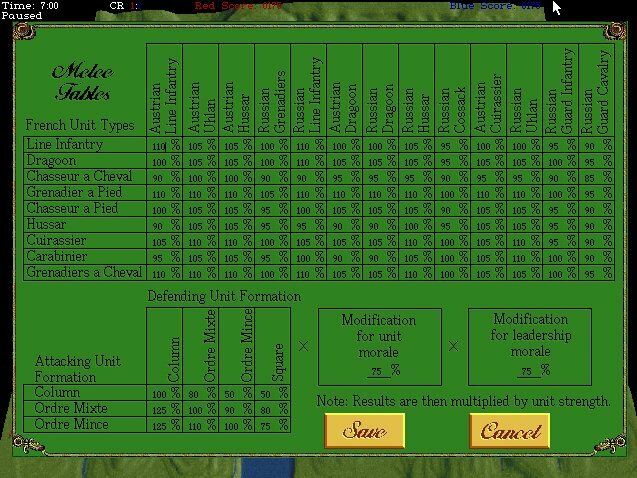 This entry was posted in Artificial Intelligence, Game Design, Gameplay, Wargames and tagged AI, Artificial Intelligence, Firebird, Game design, Gameplay, Microprose, Rainbird, UMS II: Nations at War, Wargames, Wire frame on November 17, 2016 by EzraSidran.